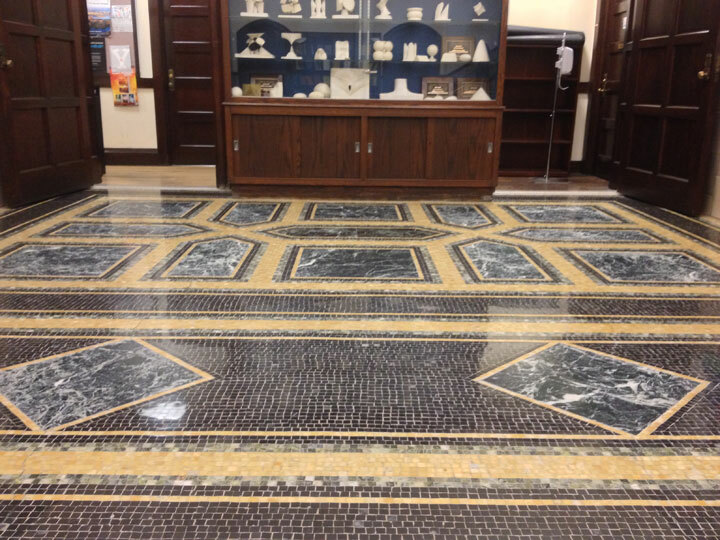 New England Stone Technology, LLC recently performed the marble flooring restoration at Leet Oliver Memorial Hall, on the campus of Yale University. 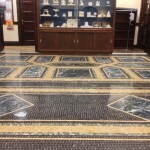 Housing the Mathematics Department, the project included restoration of approximately 2,800 square feet of marble, marble mosaic, and terrazzo flooring, and 71 steps. 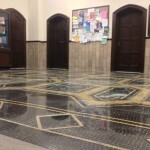 The flooring was initially covered with an acrylic wax. This had to be removed before diamond polishing could begin. 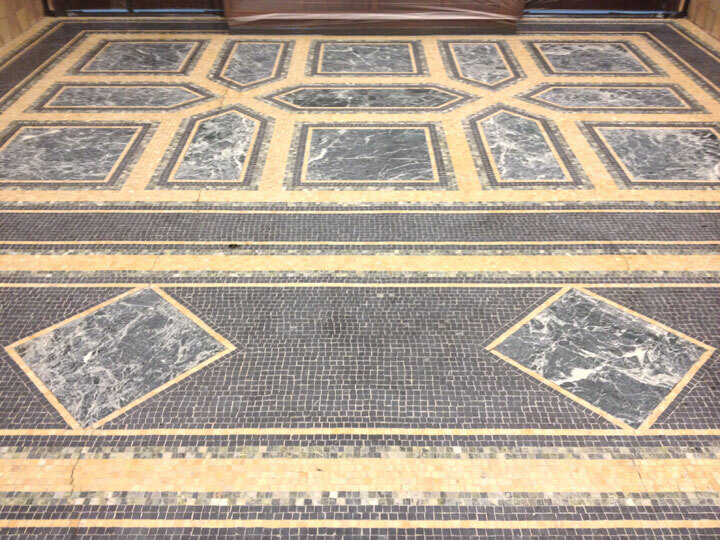 Once the floors and stairs were stripped and neutralized, the marble and terrazzo could be accessed (see photo 1). 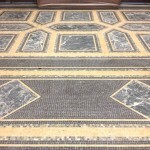 New England Stone Technology, LLC decided upon an aggressive diamond grinding of all existing flooring. The 71 stairs were all machine scrubbed and deep cleaned. They were honed by hand using angle grinders. 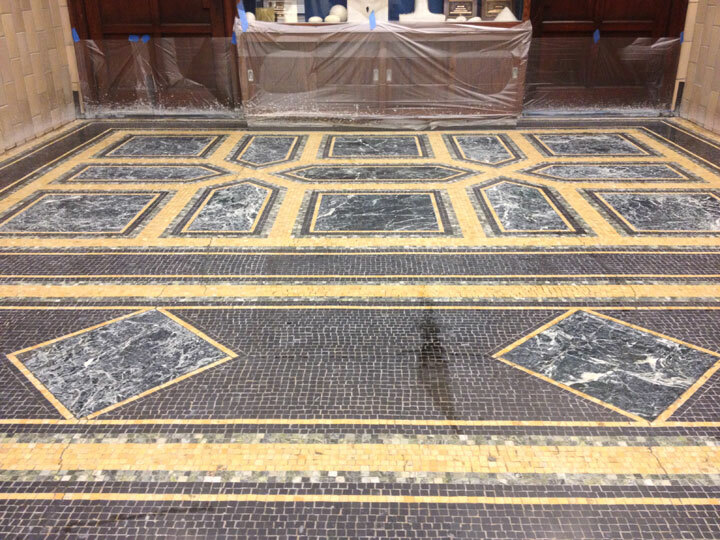 The marble floor restoration procedure included 100, 200, 400, & 800 grit diamond discs. Once the grinding and re-honing phase was complete, the marble polishing phase could begin. The switch over to polishing compounds, 3,500 & 11,000 grit marble polishing pads completed the project. 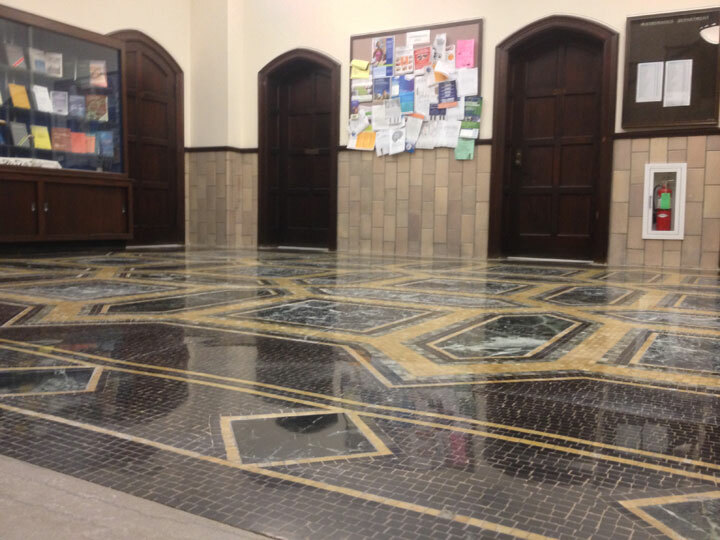 The end result was a newly restored floor, with perfect clarity, and a mirror-like shine (see photo 2). 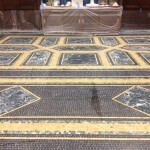 The final phase of the restoration was the application of a water based stone impregnator (sealer) to the entire floor. Unlike waxes and other coatings which remain on top of the surface, impregnators penetrate into the porous stone creating long lasting barriers that help lock out oils, water, soils and stains. This restoration took the New England Stone Technology, LLC craftsmen 3 weeks to complete. The project came in on time, and on budget. Most importantly, all job site safety procedures were followed, resulting in another injury free project. Thank you to Peter Fumo, Jerry Bjorklund, and the rest of the staff who made this restoration a success.